Traditional animal rodent models, such as Swiss -Webster mice and Sprague-Dawley rats, have sometimes failed to predict toxicity and pharmacokinetic/pharmacodynamic (PK/PD) behavior of xenobiotics in humans1. 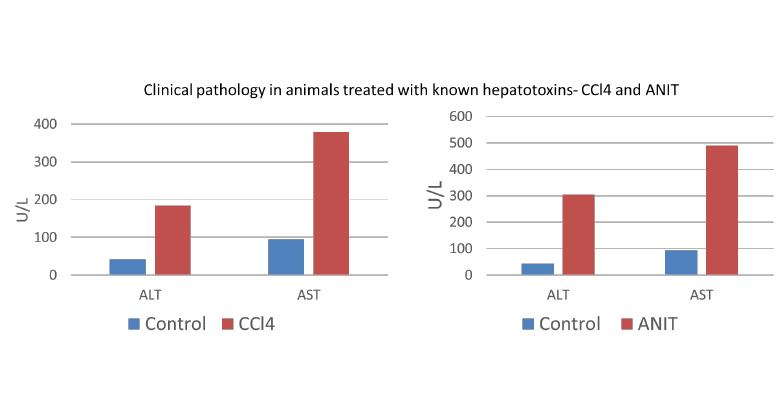 Conversely, hepatotoxicity in a rodent study does not always translate into similar toxicity in human subjects. Humanized liver rodent models are immunodeficient animals in which the native liver has been ablated and then engrafted with human hepatocytes, which proliferate to restore the functioning liver. These models offer an opportunity for advanced evaluation of new chemical entities for human specific hepatotoxicity. Humanized models are also useful for infectious disease studies such as hepatitis, which infect and replicate primarily in human hepatocytes but not in rodent2. 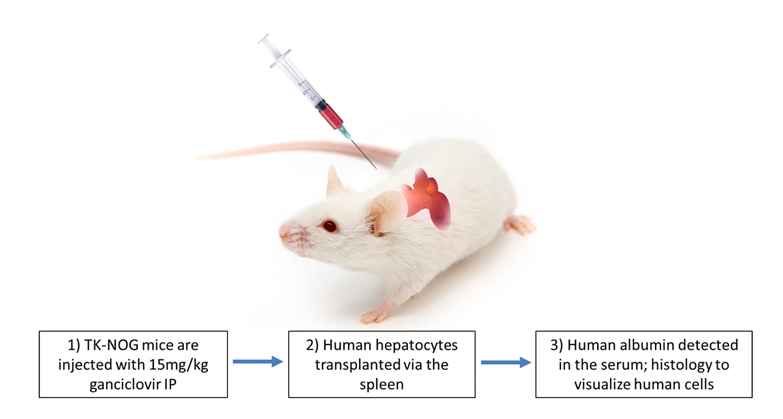 Hera can provide toxicology, PK/PD and efficacy studies using humanized liver mice. Combining expertise in gene editing & in vivo liver gene/viral delivery with humanized liver models, Hera offers a unique solution for infectious disease and gene therapy efficacy and toxicity testing. 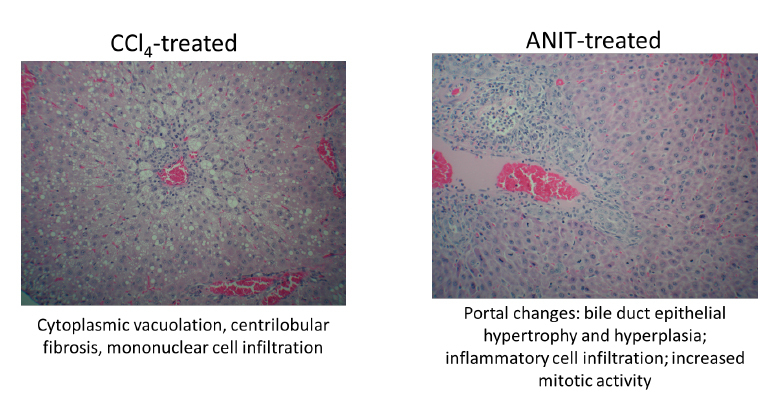 Successful humanization of the liver in TK-NOG mice is depicted below, along with example in vivo hepatotoxicity data. A study published in PLOS Medicine showed that humanized TK-NOG mice demonstrated the ability to identify unexpected human hepatotoxicity where numerous other pre-clinical models such as non-humanized mice, rats, dogs, and nonhuman primates failed3. 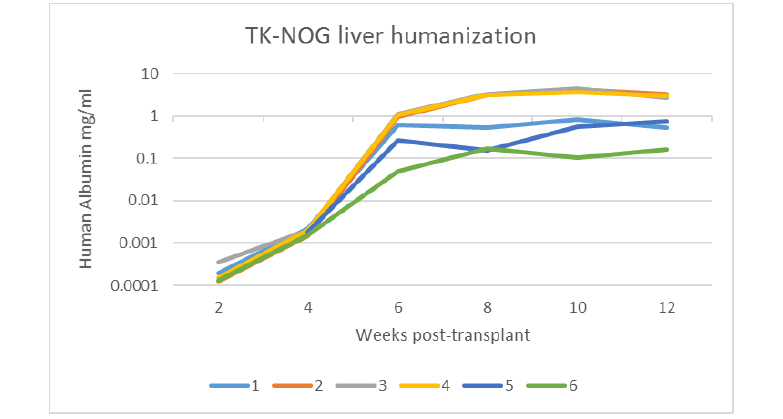 At Hera, we use the TK-NOG mouse for humanization as it allows for controlled endogenous liver injury and human hepatocyte engraftment, but also presents several advantages, including cost effectiveness, over the other strains including uPA-SCID and FRG KO mice, used for humanization protocols. For example, uPA/SCID mice have several limitations including poor breeding efficiency, a limited window for engraftment and the development of renal disease4. Fah-/-; Rag2-/-; Il2rg-/- triple knockout mice; referred to as FRG mice5, require maintenance under constant and cost-prohibitive NTBC treatment6,7 . Additional background information can be found on our Humanized liver models studies & applications page. Human albumin is detected in the serum of TK-NOG liver-humanized mice. Blood was collected every 2 weeks starting at 2 weeks post-transplant of primary human hepatocytes in TK-NOG mice. Each line represents a single animal. 1-4, males. 5-6, females. Human albumin levels correlate with level of human chimerism (Hasegawa et al., 2011). Detection of human hepatocytes within the chimeric TK-NOG liver. 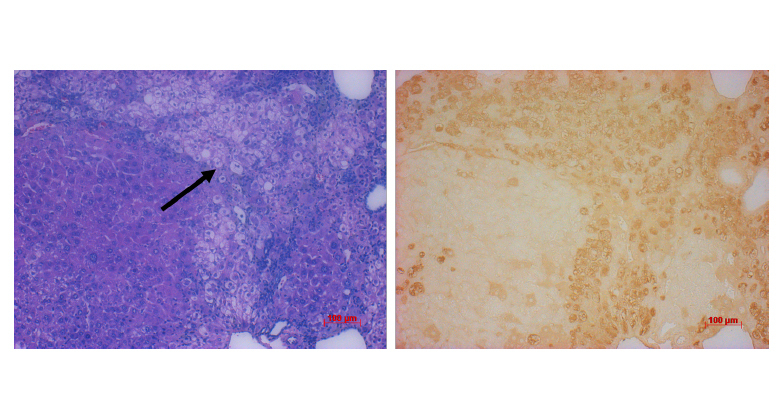 Left: H&E staining of liver sections confirms the presence of human cells, which are less eosinophilic than mouse hepatocytes and appear pale in comparison (arrow). Right: immunohistochemistry for human albumin (brown staining). 4. Hall & Geraus. Taconic Biosciences. Latest Advances in Cell and Tissue Engrafted Mice. 6. Grompe, M., et al., Pharmacological correction of neonatal lethal hepatic dysfunction in a murine model of hereditary tyrosinaemia type I. Nature genetics, 1995. 10(4): p. 453-460. 7. Peltz, G., Can ‘Humanized’ Mice Improve Drug Development in the 21st Century? Trends Pharmacol Sci. 2013. 34(5): p. 255–260.